SKU: F-7H. Categories: Field, Multiformat, TVLogic. 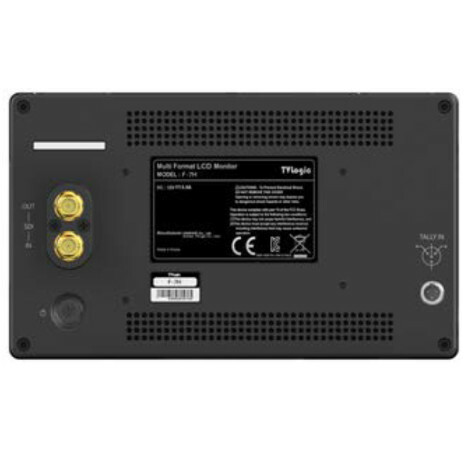 Tags: 3600 cd/m2, 7", Full HD, High Brightness, LVM, SRM, TVLogic, HD-SDI. 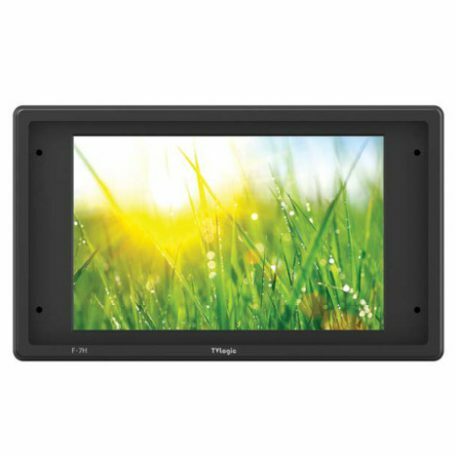 The TVLogic F-7H is a 7-inch ultra high brightness (3,600nits) filed monitor with a native Full HD resolution (1920×1080) LCD panel. 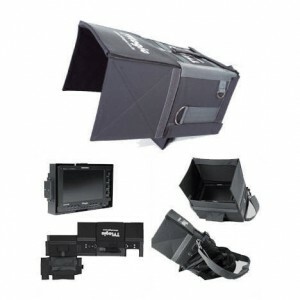 This industry leading luminance level enables camera crews to view clear and sharp pictures at high quality under extremely bright sunshine without a bulky monitor hood. 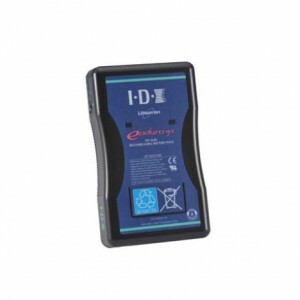 It provides SDI<>HDMI cross conversion via its SDI & HDMI in and out interfaces. 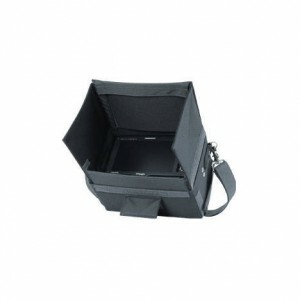 This allow you to put HDMI in and record the SDI output and vice versa. The F-7H supports all the professional features you expect from TVLogic such as Waveform & Vectorscope, Audio Level Meters, Focus Assit, Range Error, Time Code Display, various Aspect Ratios and Markers, 3D LUT import, Camera Logs and HDR emulation including HDR EOTFs of PQ, HLG and SLog3. The new F-7H field monitor is a great companion for filming outdoors whether using high-end pro kit or more affordable consumer equipment. A good sized, full HD preview screen that is visible outdoors without the bulk of larger screens or sun-hoods makes shooting on the go much easier. Its ability to cross-convert video signals from HDMI to SDI and SDI to HDMI, bridging the gap between DSLR’s and broadcast kit, coupled with all the other built-in tools make the F-7H a truly essential addition to any location crews kit bag. 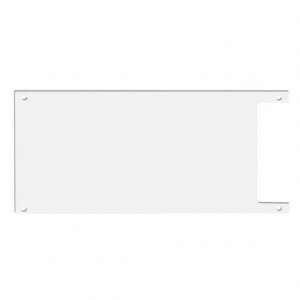 Provides a hard plastic cover for your monitor screen. 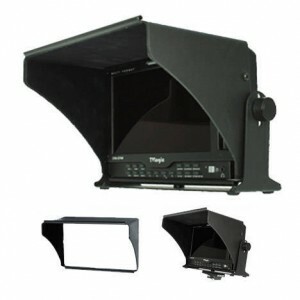 Rigid plastic Sun Hood for TVLogic 7″ field monitors. Fixed via four screws into side of monitor.